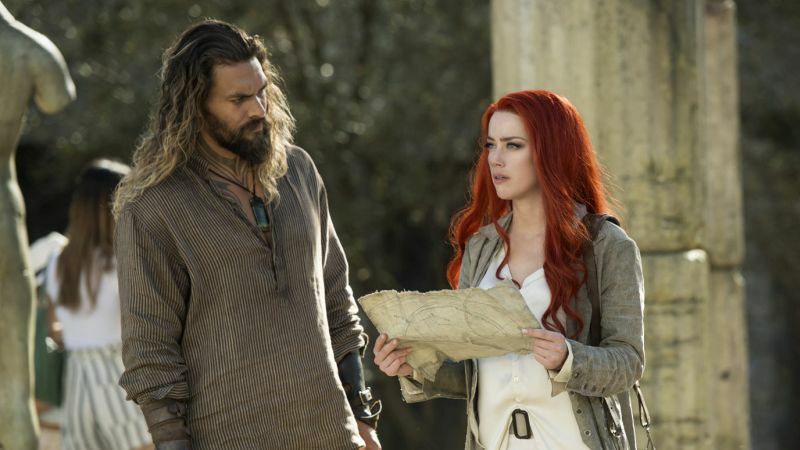 Jason Momoa and Amber Heard stand in a barren, dry temple. The scene they’re currently filming for Aquaman may be in a sound stage in Australia, but the context of the scene has it set in the Saharra Desert, the last place one would expect an Aquaman movie to travel to. The next solo movie in the DCEU is a huge globe-hopping adventure, and the comparisons by the filmmakers to Raiders of the Lost Ark and Romancing the Stone are pretty spot on. The pair find themselves in this dry location because they’re on a quest to find an artifact, the King’s Trident. In fact, this place is where the Trident was created. 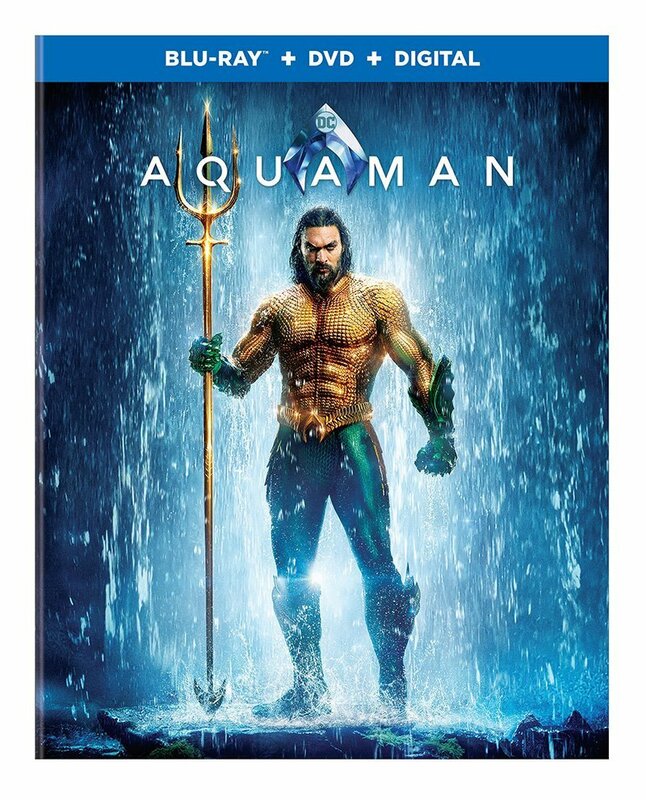 Aquaman needs it in his quest to take down his half-brother Orm aka Ocean Master (co-star Patrick Wilson), and Mera is along for the ride. Though fans may know that they two are lovebirds in the pages of DC Comics, they don’t start that way in the new film, and things might get testy at times. Back in the scene, the pair approach a small well, but it being dry from the desert makes it, and its hidden messages, in accessible. “It’s completely dried out,” Momoa’s Aquaman says, venting his frustration. Heard’s Mera takes charge, “We can’t let Orm find this.” She smashes the artifact leaving the message lost to the ages. “I memorized it, didn’t you?” she quips. Though the upcoming Aquaman is very much a James Wan movie, Momoa is still bringing along some of the directions he was given by Zack Snyder when the pair were conceiving of the character years ago. “I want Outlaw Josey Wales, I want the outsider, I want more than Batman the loner,” Momoa says, quoting Snyder, on the Aquaman set. Though loners may be a recurring motif for the DCEU’s heroes, Momoa says that Aquaman is still cut from a different cloth than Superman or Batman. Aquaman will surface on December 21.